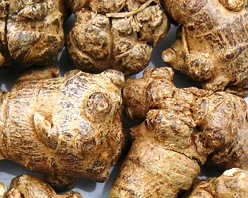 The empirical medical skills that were perfected over the course of many centuries by our martial ancestors through the difficult often painful process of trial and error consisted mainly of ancient Taoist healing practices along with techniques that were a carry over from the branch of traditional Chinese medicine called Dit Da Yao. Some of the primary tools used in “hit medicine” as it is more commonly known included techniques like re-setting bones that had been broken or dislocated from a joint, known as bone-setting; a technique called bleeding that was performed by piercing the skin in order to release bruised-blood caused by blunt force trauma, in addition to using herbs in conjunction with techniques used in Chinese Trauma medicine for treating internal as well as external bleeding. It was the need to manage minor injuries like muscle strains and sprained ligaments — which were considered unavoidable consequences of training — as well as serious combat wounds such as incisions, stab wounds, and blunt force trauma caused by empty hand strikes and strikes from solid objects, that was the primary motivation for martial artists to develop skills in Osteopathy, Traumatology and Herbology. With limited medical options, a martial artist’s ability to skillfully apply emergency first-aid techniques along with administering herbal prescriptions with proven curative abilities was often a matter of life or death. Having no way to earn their keep other than through mercenary activities, prize fighting and teaching their art, the ability to effectively treat a wide range of injuries in order to facilitate a speedy recovery has always been a major concern. This preoccupation with health maintenance was not only motivated by fear of the loss of income needed to maintain basic food and shelter — there was also concern over the possibility of retribution from enemies. 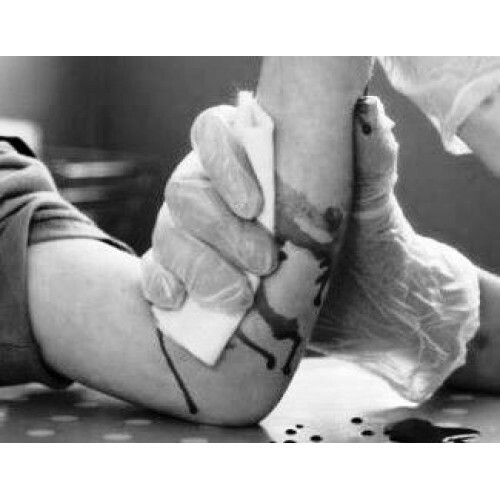 Due to the life-threatening nature of uncontrolled bleeding such as that seen in penetration wounds caused by gun shots, stab wounds and incisions, applying effective first-aid techniques along with hemostatic herbs capable of sealing wounds in order to stop bleeding and avoid fatal blood loss was an extremely valuable skill set. 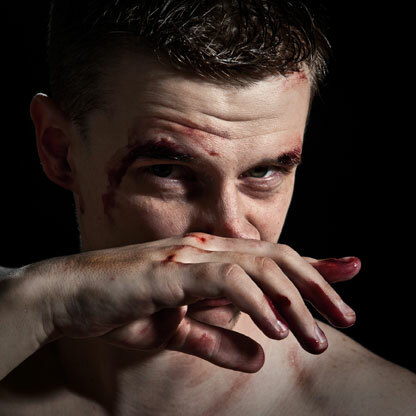 No other type of injury posed a greater threat to the preservation of life and limb of the martial artist than wounds associated with internal and external hemorrhage. The treatment of wounds that could potentially cause the sufferer to literally “bleed to death” is depicted in martial literature such as the legendary Bushido Tales. Many martial arts historians consider this excerpt from one of the Bushido Tales, one of the earliest documented accounts of battle-field herbal first-aid used by Samurai Warriors. Curiously, centuries later as the Vietnamese war was nearing its end, reports began to surface about the use of similar first-aid techniques by North Vietnamese forces in their war against South Vietnam and the United States. According to reliable sources not unlike the Samurai, Viet Cong troops used centuries old powdered hemostatic herbs to stop bleeding from a variety of combat injuries ranging from simple cuts and bruises to gunshot wounds. Their frequent use of this highly touted first-aid technique further solidified its reputation in both ancient and modern times as one of the most effective emergency battlefield first-aid remedies to stop bleeding. As a matter of practicality, proficiency in the use of this basic injury management technique was especially important for practitioners of martial arts styles that regularly trained with “live” swords, sabers, daggers or other bladed weapons. Applying direct pressure to stop bleeding which extends beyond martial arts to include all of the so-called blood sports, including boxing, is an intuitive first-aid skill that has been used extensively throughout martial arts long illustrious history. Although it does not require a lot of technical training; the Red Cross, the World Health Organization, and most modern healthcare organizations still consider applying direct pressure to stop hemorrhaging one of the most effective techniques for treating all kinds of uncontrolled bleeding from a simple nose bleed to severe life-threatening injuries. Before you attempt to apply the technique to stop the bleeding, wash your hands with soap and water. If rubber gloves are available, I would advise you to put then on in order to avoid infecting the wound, as well as protecting yourself from the possibility of contracting blood-borne viral infections (such as HIV and Hepatitis) when you treat an open wound on any one other than oneself! If bleeding has not significantly slowed or stopped after approximately twenty minutes, continue to apply firm pressure, elevate the area of the body that is bleeding, and continue your effort until emergency medical assistance arrives (call 911). Nose bleed is treated by ”sniffing” powdered San Qi up the nose or inserting it into the nostril with a Q-tip and pinching the nose, holding it closed (which is a form of direct pressure). 0.5 -1 teaspoon of powdered herb is mixed with approximately 4-8 oz. of wine or water and drunk one to three times daily. In severe cases of bleeding the amount of San Qi can be increased to 2 teaspoons in 8oz of wine or water. San Qi should not be taken internally by pregnant women because of the possibility of harming the fetus! Once an important part of the martial arts curriculum, the technique of applying hemostatic agents like San Qi prior to administering direct pressure in order to control bleeding has been practiced by martial artists as diverse as Taoists priests, Shaolin monks, and Samurai warriors. Although no one can argue with the fact that the method described for controlling bleeding was an important part of the ancient warrior’s injury management strategy. The value of techniques and formulas for preparing herbal liniments and embrocations used for treating minor sprains and strains to the ligaments muscles and tendons as well as broken bones — which I will discuss in future articles — was also extremely important and highly valued as an integral part of the martial artist’s arsenal of techniques for hastily resolving injuries. Thomas Richard Joiner, author of the Warrior as Healer, Blending Botany and Budo, Chinese Herbal Medicine Made Easy, Martial Esoterica and Kung Fu Medicine is a Shihan 6th-degree black belt in Chinese Goju Martial Arts and has received certification in Tien Tao Chi Kung, as well as being a graduate of the Institute of Traditional Chinese Medicine New York City. He has conducted advanced study in traditional Chinese medicine (acupuncture) and Chinese herbology at the Academy of Chinese Culture and Health Sciences in Oakland, CA under Dr Lai Fu Chai, and the Institute of Chinese Herbology in Berkeley, CA. Thomas’s martial arts education includes training in Wing Chun Gung Fu with Sifu Ralph Rodriquez, Sifu Lee Moy Shan and the late Grandmaster Moy Yat. 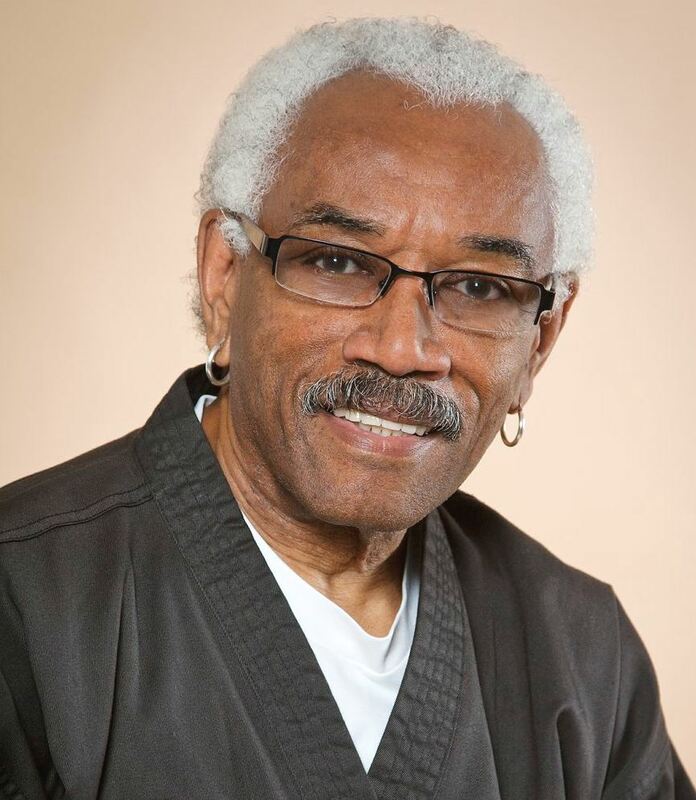 In addition he has studied Taoist Esoteric Yoga Micro-cosmic orbit meditation, Iron shirt Chi Kung and Seminal Ovarian Kung Fu with Mantak Chia, as well as training in Chinese Goju Martial Arts under Grandmaster/Shidoshi Ron Van Clief.